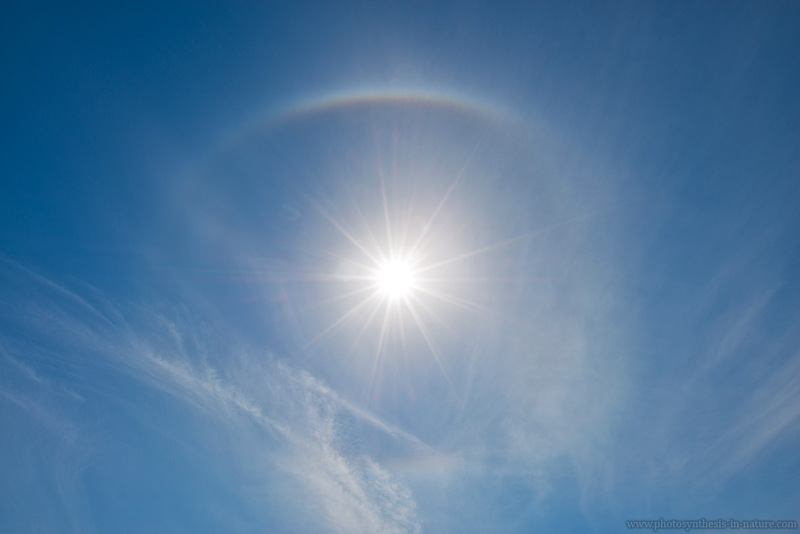 When the sun is 29 degrees or higher up in the air, the upper and lower tangent arcs start to join and form a circumscribed halo. Its form also depends on the position of the sun. In this case, the sun was about 50 degrees up in the sky.